The future of the Neepawa Natives hit the ice in Brandon earlier this week, as the MJHL club held its young prospects camp. 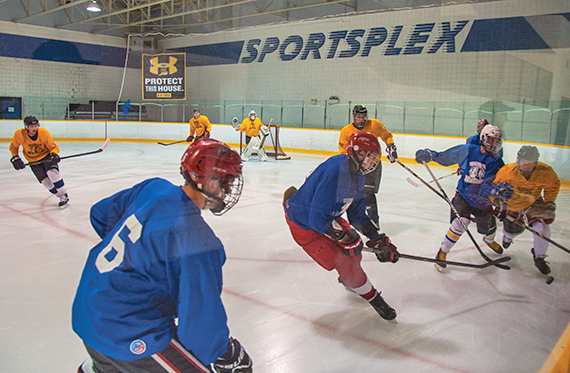 Just under 60 players, including top 2015 MJHL bantam draft pick Mackenzie Belinski participated in the event on Monday, July. 6 and Tuesday, July. 7 at the Sportsplex. 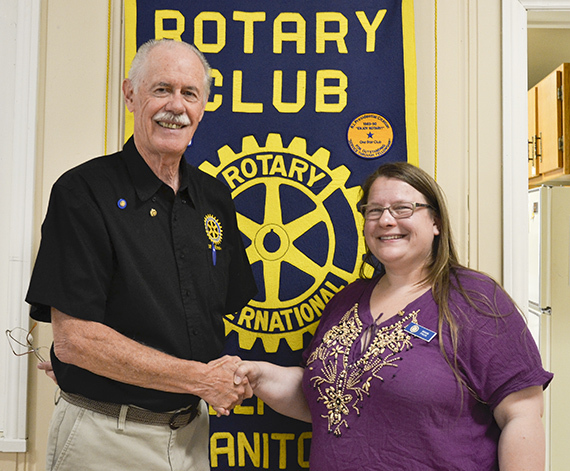 On July 3, outgoing Neepawa Rotary president Dave Bennet presented the president’s pin to Rrain Prior, marking the beginning of her term. Prior is the service club’s 67th president and the first women to head the club. Out in the community, I’ve noticed a trend. Over the last four years, the rising interest in social issues among today’s youth is becoming hard to miss. This is good news and it gives me hope for the future of our communities. Most of the contents of the Murray Museum in the Gordon District south-west of Neepawa went up for auction on July 4 and 5, under the direction of Meyers Auctions and Appraisals of Arden, Manitoba. Accumulated over many decades by two generations of the Murray family, the collection included Indian artifacts, tools, farm implements, cars and tractors. It also included a large quantity of books, bottles, glassware, lamps and some furniture.